Last week a New York federal court certified a class of approximately 250,000 African-American job applicants in a race discrimination case against the U.S. Census Bureau. The plaintiffs allege that they were unlawfully excluded from consideration for door-to-door census positions due to arrest records that never resulted in convictions. In other instances, applicants were allegedly rejected based on convictions for minor crimes or convictions that were so old they should not have been considered. The lawsuit alleges that the Census Bureau’s practices disparately impacted minority applicants in violation of Title VII’s prohibition on race discrimination. Arrest Records Are Off Limits – The fact that an individual was arrested for a crime does not mean that he or she actually committed the alleged crime. A large percentage of arrests never lead to prosecution or conviction. Because racial minorities experience arrests at a far higher rate than Caucasians, employment decisions based on arrests inherently have a disparate impact on minority applicants or employees. This is not to say that employers have to entirely ignore arrest information that comes to light; however, relying on this information alone (as the Census Bureau is accused of doing) will be difficult, if not impossible, to justify on business necessity grounds. Individual Assessment is Key – To avoid lawsuits like the one pending against the Census Bureau, it is important for employers to make employment decisions on a case-by-case basis. Blanket “no felon” policies are a recipe for lawsuits. Before excluding a candidate from consideration, the employer should consider the nature of the crime for which the individual was convicted, the nature of the job duties at issue, the time that has elapsed since the conviction and the last day of any incarceration, any available recidivism data, and whether the conduct underlying the conviction poses a real, current risk given the job duties at issue. 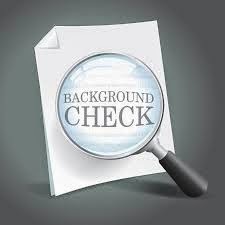 Criminal Background Checks Remain an Important Screening Tool – The Census Bureau jobs at issue in the pending lawsuit involved going door-to-door to collect census data from the public. The Census Bureau is certain to argue that its background checks were necessary to ensure public safety. Employers in Minnesota have a duty to take reasonable measures (which could include conducting background checks) when a job presents special risks of harm to the general public. In this case, it seems perfectly reasonable that the Census Bureau would seek to conduct background checks of individuals working in communities and approaching private homes largely unsupervised. The troubles facing the Census Bureau arise not from the practice of doing background checks, but from the allegations that applicants were automatically excluded based on arrest records and any criminal history rather than more individualized assessments of actual risks.